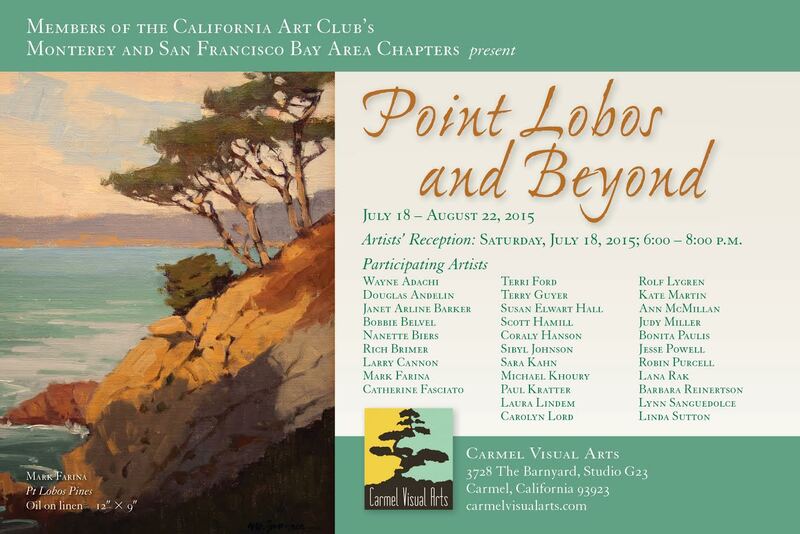 The California Art Club and the Carmel Visual Arts present the exhibition “Point Lobos and Beyond“ at the Carmel gallery from July 18 to August 22, 2015. The exhibition opens with a reception with the participating artists on Saturday, July 18, from 6:00 to 8:00 p.m. The more than 30 works in the display have been created by many of the state’s premier contemporary-traditional artists who are members of the historic arts organization’s Monterey County and San Francisco Bay Area Chapters. The paintings include imagery ranging from the centuries-old Monterey Cypress “Old Veteran,” which stands watch along a rugged cliffside cove, to sandy beaches with sweeping vistas and the gem of the Point Lobos State Reserve, China Cove, with its jewel-like tones of aqua and emerald reflecting the white sand that lines the bed of the cove. All capture fleeting moments of natural lighting across scenic landscapes – a distinctive Impressionistic style of painting influenced by the Club’s early founders more than 100 years ago. Wayne Adachi, Douglas Andelin, Janet Arline-Barker, Bobbie Belvel, Nanette Biers, Rich Brimer, Larry Cannon, Mark Farina, Catherine Fasciato, Terri Ford, Terry Guyer, Susan Elwart Hall, Scott Hamill, Coraly Hanson, Sibyl Johnson, Sara Kahn, Michael Khoury, Paul Kratter, Laura Lindem, Carolyn Lord, Rolf Lygren, Kate Martin, Ann McMillan, Judy Miller, Bonita Paulis, Jesse Powell, Robin Purcell, Lana Rak, Barbara Reinertson, Lynn Sanguedolce and Linda Sutton. Gallery hours are 10 a.m. to 5 p.m., Tuesday through Sunday. 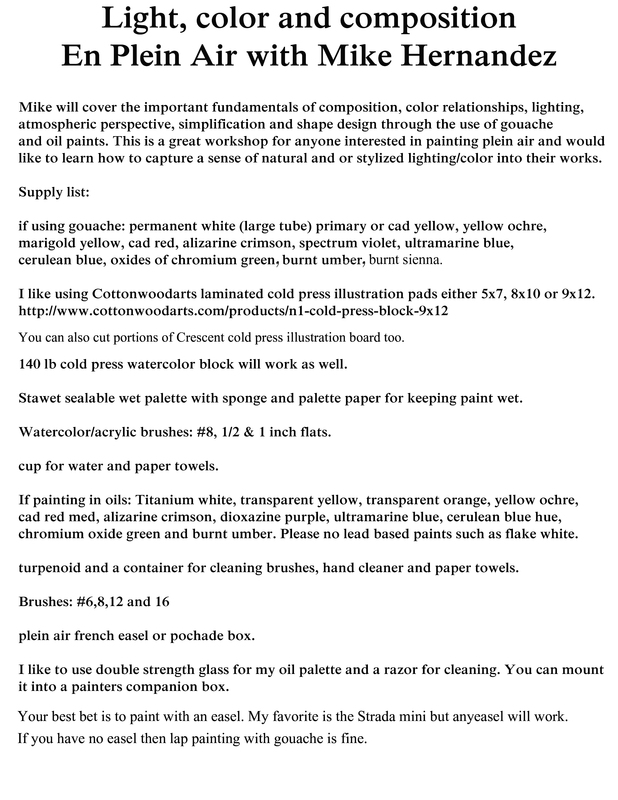 The California Art Club (californiaartclub.org)—established in 1909 by early California Impressionists (or plein air painters)—is recognized as one of the oldest, largest and most active leading professional art organizations in the world. The mission of the Club is to promote traditional fine arts in the fields of painting, drawing and sculpture; produce and promote art exhibitions that foster greater understanding of traditional art heritage and California history; and furnish educational opportunities in the fine arts. Members include nationally renowned artists, art students, art scholars and patrons, and leading collectors and members of the business community in order to interject different perspectives into the ongoing dialogue about traditional fine arts.